The purpose of a transmission in a vehicle is to transfer the power from the engine to the wheels. It is a speed reducing mechanism equipped with several gears, clutches, axles and electronic controls. Spindles are mainly used on planetary transmissions where hollow shafts are required. 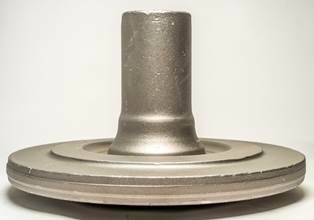 Spindle assures double functions, as a transmission shaft and also as a stub axle. Setforge manufactures highly robust spindles for off-road applications, ready to endure high peak loads. As forging subsidiary of Farinia, Setforge shares the group’s vision of continuous improvement at every single manufacturing step and precision engineering. We have been internationally recognized for our high-quality components.